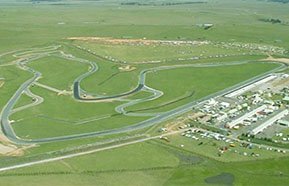 Round 6 of the 2012 NSW Improved Production Racing Association will be held at Goulburn’s Wakefield Park Raceway on November 3/4. Saturday 3rd November will kick off with gates open at 7:oo am. A Drivers briefing will be held at 8:30 with qualifying rounds commencing at 8:50. First race rolls out at 12:30 pm with 12 events taking place in total for the afternoon - 1 race for our category which is Improved Production Over 2 Litre to commence at approximately 3:00 pm. Sunday 4th November will see gates open again at 7:oo am for an exciting day of racing with the first event of the day kicking off at 8:50. There will be 14 events held over the course of the day - 2 races for our category which will commence at approximately 10:20 am and 2:15 pm. We will be on pit lane in Garage 35/36. You can’t miss us, just look for the MRTeam transporter. Hope to see you there!